IEP meetings are known to fill parents of special education students with dread. They are stressful, sometimes tense, usually long, and can have a serious impact on your child's education - no wonder no one enjoys IEP meetings! 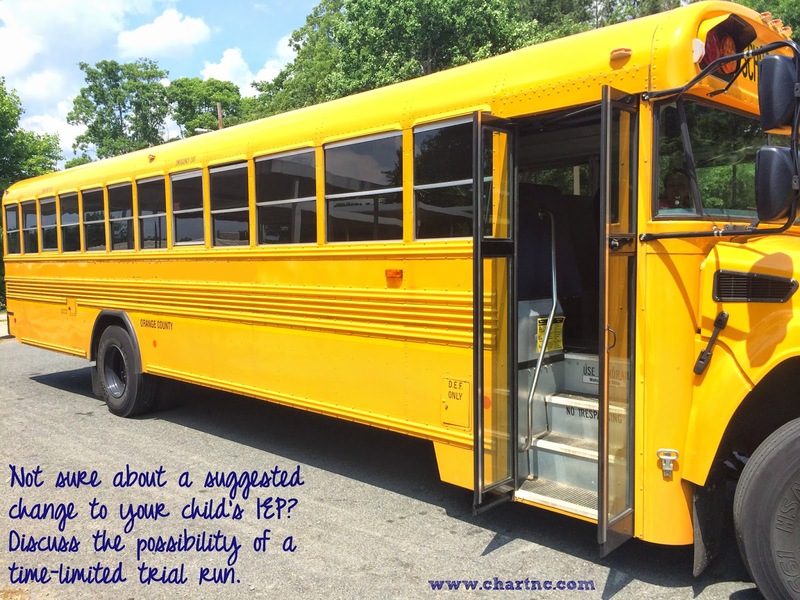 In talking with several parents of preschoolers recently, I've discovered that they have a lot of the same questions that I did when our son was just starting the IEP process. We all want to be the best advocates we can be for our kids - hopefully our favorite IEP tips will empower you to be a more confident and prepared partner in your child's special education. Special education law is full of jargon, abbreviations, and technicalities that can make it seem like a foreign language. But if parents are going to be equal partners at the IEP table (which the law says we are! ), we have to become familiar with special education processes and terms. Wrightslaw books are one of the best resources available, and if you can go to a Wrightslaw conference, even better. Learning about the law is truly empowering! I know it's boring. Read it anyway. 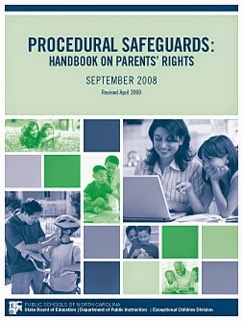 Take the time to read the Procedural Safeguards Handbook on Parents' Rights to learn about state-specific rules and regulations. Knowing about forms and compliance issues is also critical. For instance, did you know that in North Carolina the Prior Written Notice form is called the DEC5 and the IEP itself is the DEC4? Even learning the lingo is important. It may be tedious, but you will be so happy when you sit down at the IEP table and understand what the rest of the team is talking about! I don't know about you, but I find the typical hour long IEP meeting to be barely enough time to complete the paperwork. We have found that it is incredibly helpful to start working on IEP goals about a month before the meeting. That allows plenty of time to collaborate with teachers and therapists to come up with goals that everyone feels good about. It also allows you ample time to discuss your child's progress, read up on new evaluations, and have your questions answered. Many parents also like to discuss the proposed goals with their private therapists to see if they find them appropriate. Don't forget that you can suggest IEP goals to the team as well. You may wish to share outside evaluations with the school staff that are relevant to your child's needs in school. If at all possible, provide copies of private evals to the school in advance so they have ample time to review them. Parents don't like having new data dropped on them during IEP meetings, and we owe the staff the same courtesy of advance notice. IEP meetings are inherently emotional for parents; getting the important work done in advance when the pressure is off allows you to be much more productive. My goal is to spend the actual IEP meeting with nothing more to do than do than finish the paperwork and fine tune small details. Often called the PLP (or charmingly, the PLOP), the Present Levels of Performance are the cornerstone of your child's IEP. The assessment of the student's current functional and academic abilities are what drive the IEP goals. It is really important to get the PLP right, and also something you should ask to review (and revise, if necessary) before the IEP meeting. Be sure that you agree with the way your child's strengths and challenges are being characterized, and don't be afraid to ask for something to be added or changed. Students with autism often have behavior concerns, and the PLP is a good opportunity to document antecedents for known issues. It is a helpful tool for school staff to better learn what might set your child off, and also a way to ensure that the blame doesn't fall on the child if he is put into a situation that the adults already knew he cannot handle. 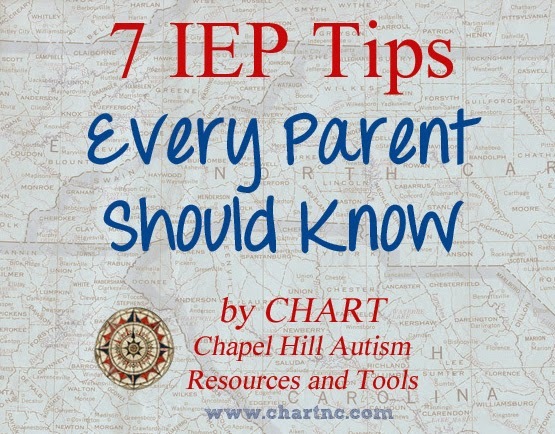 There is no question that it is important to get the IEP right. But remember that IEPs are not carved in stone for all eternity. As equal members of the IEP team, parents have the right to call an IEP team meeting if they feel the IEP needs revision. Don't aggravate your team by asking for the whole group to meet every month, but don't feel like you have to hold serious concerns until the annual IEP meeting either. Our son's annual IEP gets revised in January, but we also may have a transition planning meeting in late May and another meeting in early October to see how the goals are working in the new school year. Sometimes the school may suggest something that you simply are not sure about. One option is to say you need a few days to take the IEP home, read it carefully, and think about it. You will be asked to sign the Invitation to Conference form indicating you were present at the meeting, which is fine. Some states don't always require the parent to sign the IEP itself to give consent (unless it is the initiation of special education services), so be clear that you do not want any changes to your child's plan until you have a few days to review. It is also okay to accept parts of the proposed IEP, but not everything. There is no "all or nothing" when it comes to IEPS. Another option is to agree to a limited trial. The team can decide to try something new for 6-8 weeks, with a follow up meeting planned to access how effective it has been. We were once asked to consider a change to our son's transportation, and we truly did not know how it would work out. The solution we agreed to was to try the district's idea without formally changing the IEP until we could see how it went (the new plan was detailed in a DEC5), then to reconvene at a specified date to make the final decision. That was a plan that everyone felt comfortable with; we weren't agreeing to change the IEP without seeing how the new transportation worked out, and the district was happy that we were willing to be open to their recommendations. After the meeting, things can still be changed if necessary. Carefully review the meeting minutes (Your school doesn't give you minutes? They should!) and the Prior Written Notice form. If there are any details that do not accurately reflect your memory, need clarification, or should be added, email your program facilitator or case manager with your requested changes. Do this while your memory is fresh from the meeting. The best way to keep an IEP meeting positive and on track is to keep the focus on your child. He or she is the reason for the meeting, and most of the time, the people at the table truly do want to help him be successful. We keep a cute photo of our son in the cover of our IEP binder so everyone sees his smiling face before the conference begins. Creating a student profile to share with the team members is another great idea. 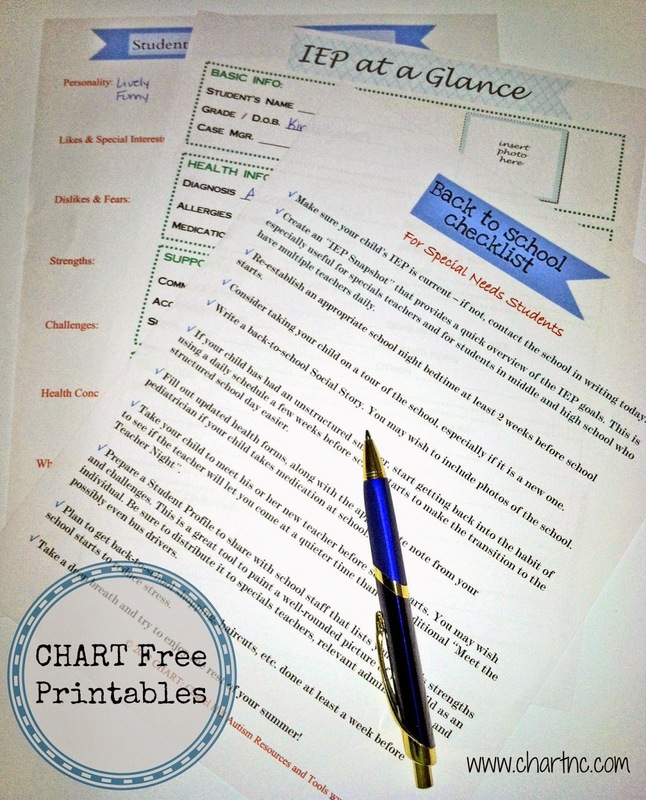 You can also use it to craft the parent statement about your hopes for your child's future to fill in that section of the IEP. It's much easier than coming up with something eloquent on the spot. Never go to an IEP meeting alone! No matter how cordial your relationship is with the school staff, it is intimidating to sit alone on one side of the table when the district has half a dozen professionals present. Bring your spouse, bring a supportive friend, bring your child's grandparent, bring a therapist, bring an advocate, just bring someone! It is very helpful to have someone to bounce ideas off, hold your hand, or keep you calm if things get heated. If you are presenting evaluations that conflict with the school's position, it can be very beneficial to have the therapist in the meeting to provide additional leverage to her professional opinions. I have heard "it's just the mother's opinion" used in a dismissive way by staff, but with a highly qualified therapist by my side, my concerns suddenly carried much more weight. Tip 7: Never Ask for "The Best"
We all want the best for our children, but the IEP meeting is not the forum to ask for what is "best". Why? Because the IDEA law requires schools to provide students with disabilities an appropriate education, not the best possible education. The minute you say that a particular program, service, or placement would be the best for your child, the school can use that as a reason to offer less. Instead say that the desired program, service, or placement is appropriate - and be prepared with the facts to show why. Want to learn more about how to successfully advocate for your child at school? Visit our Books Page, and check out our favorite books on special education. This post contains associate links.